This was our first leg of our cruise along the South Coast of England scheduled for June 2015. 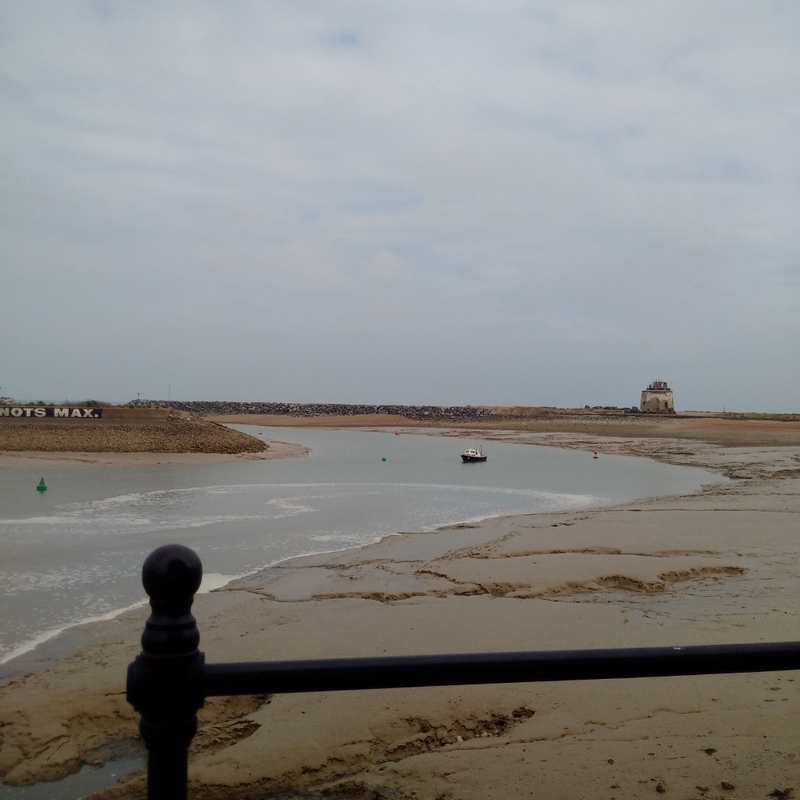 It followed a windy and unsettled period of weather that took place after our return from the very successful Dunkirk 75th Little Ships Anniversary Cruise and then a period of essential shore leave. The weather was very benign with little wind but that came at the cost of poor visibility and having to start the cruise in thick fog! 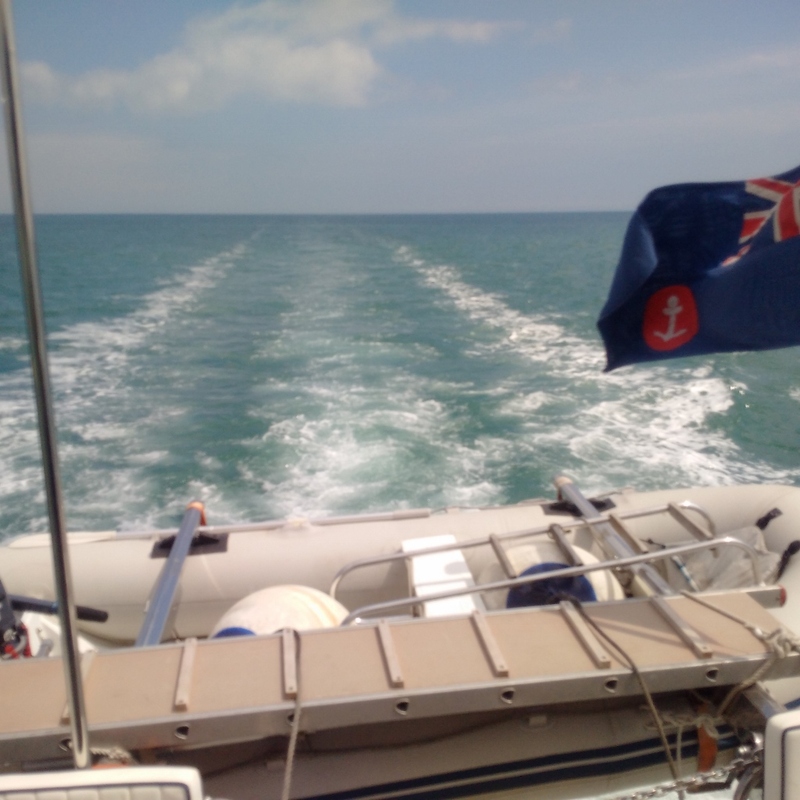 Again, fine weather, comfort and economy were the watchwords and so, given this leg would take some 7-8 hours at 8 knots, some pretty calm conditions were called for and, after waiting some time, the day of Sunday 14th June was identified as providing it. 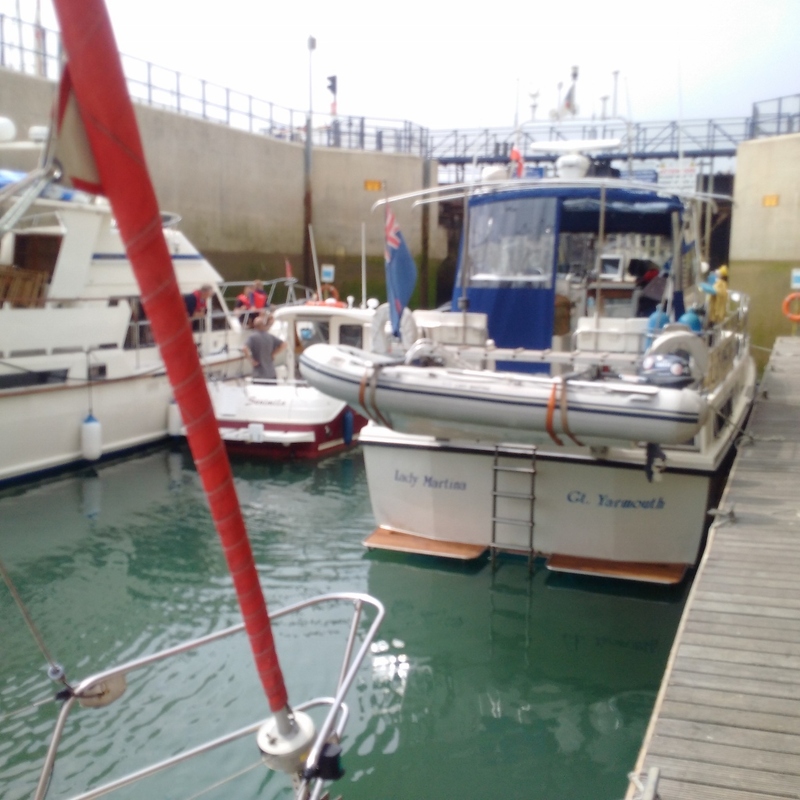 A very start was called for (after we had locked out of the Ramsgate inner basin the day before) which took us past the headland after Dover and gave a following tide for the part of the trip and then one later that was not in opposition to the prevailing slight breeze forecast. We had just receive the fantastic news that my older daughter Debbie has given birth to her third child and first daughter Rebecca Jane but 'time and tide waits for no man' and so we needed to complete this cruise in order to get back soon for a cuddle! The weather as viewed on Saturday evening, the night before, could not have been better; very light winds, warm temperatures and reasonable visibility. I wanted the cruise will start at first light (c 5.00am local time) and therefore be completed by mid-afternoon in order to round the headland and pass the narrowest part of the Dover Strait before the heavy tidal flow begins. I had recognised the hazard of starting and ending the cruise at low water such that care will have to be taken. In the event the poor visibility and other logistics such as walking Max dictated that we set off at 6.00pm local time. It was intended to cruise on to Brighton but Notice to Mariners warned of shoaling in Brighton harbour entrance and berths such that vessels of over 1m draft are recommended not to enter =/- 1.5hrs either side of LW!!! We therefore decided to stop off at Eastbourne until Tuesday, the next period of calm weather forecast. N. Foreland to Selsey Bill Wind Variable 3/4 sea state Slight or moderate: Weather; Rain or showers. Visibility; Moderate or good.